Participants doing workout Routine at Movement in the park. Join the third annual “Movement in the Park,” a health and wellness fair for all ages on Sunday, May 15, 2016 – 2:00P.M.- 5:00P.M. in Forsyth Park. 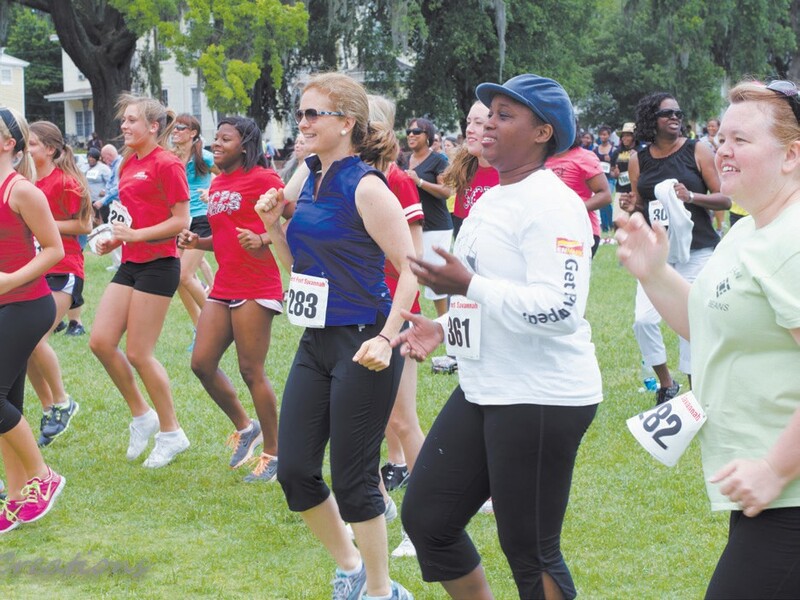 Participants can join in the “Dawning of a Miracle Mile” (a one mile walk/ run), Zumba and all kinds of dances, health screenings, vendors, refreshments, fun and a whole lot more. It is our way of introducing everyone to fun ways to move and get active and start a healthier lifestyle. Foundation) a $1,000 scholarship awarded every year to a Chatham County Public or Private School college-bound female graduating senior who has a chronic/life-threatening illness, or has experienced serious hardship and has succeeded in spite of adversity. Donation for this event is only $10.00. We are urging everyone to join us for the fun, refreshments and give-aways. You may register online at: dawnbakeronline.com/index.php?id=30. For questions or additional information, please call (912) 232-6048 or email us at: contactus@dawnbakeronline.com.